If you want to save money and minimize your carbon footprint, start by investing in really good home heating and cooling systems. 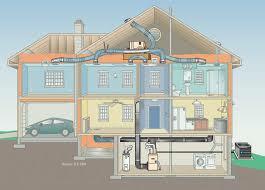 We are all aware that home heating and cooling systems eat up the biggest chunk of our monthly utility bill. Add to that the fact that in order to produce energy and electricity, big power plants burn fossil fuels to meet our power demand, which in turn adds more greenhouse gasses going up into our atmosphere aside from being a big financial burden. With continued advancements in HVAC technology, there are now more home heating and cooling system alternatives than there was before, and even plenty of environment-friendly brands to choose from.